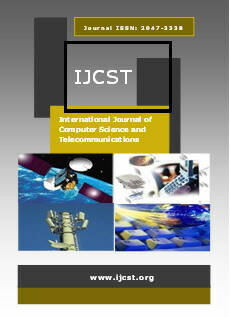 Abstract — In this report we study some watermarking methods and the comparison result of their combination, the first one is based on the CDMA (Code Division Multiple Access) in frequency domain DWT(Discrete Wavelet transform)noted CDMA-DWT ,CDMA in DCT(Discrete Cosine Transform ) noted CDMA-DCT and CDMA in spatial domain noted CDMA-SD and its aim is to verify the image authenticity whereas the second one is the reversible watermarking (the least significant bits LSB and cryptography tools) noted RW and the reversible carte mapping RCM its objective is to check the integrity of the image and to keep the Confidentiality of the patient data. A new scheme of watermarking is the combination of the reversible watermarking and the CDMA method on the field of spatial domain noted RW/CDMA-SD and second combination in frequency domain (DWT and DCT ) domain noted RW/ CDMA-DWT and RW/CDMA-DCT to verify the three security properties Integrity, Authenticity and confidentiality of medical data and patient information .In the end ,we made a comparison between these methods within the parameters of quality of medical images Initially, an in-depth study on the characteristics of medical images would contribute to improve these methods to measurements have been done on the watermarked image to verify that this technique does not lead to a wrong diagnostic. The robustness of the watermarked images against attacks has been verified on the parameters of PSNR (Peak Signal to Noise Ratio), MSE (Mean Square Error), MAE (Mean Absolute Error) and SNR (Signal to Noise Ratio) which show that the resulting quality of combination watermarking method is good in DCT than in DWT and spatial domain. Abstract — Agile methodologies have become the mainstream of software development due to their enriched practices. Some commonly used practices include collaborative development, meeting evolving requirements with working software, simple design etc. These methods do not hold big upfront for early estimation of size, cost and duration due to uncertainty in requirements. It has been observed that Agile methodologies mostly rely on an expert opinion and historical data of project for estimation of cost, size and duration and also observed that these methods do not consider the vital factors affecting the same of project for estimation. The benefits of using Agile methodology are: 1) In the absence of historical data and experts, existing agile estimation methods such as analogy, planning poker become unpredictable. We found that one-third of the study respondents use Agile methodologies to varying degrees, and most view it favorably due to improved communication between team members, quick releases and the increased flexibility of Agile designs. 2) It defines some alternative processes for projects in different situations. The main objective of this article is that it gives the novel process model of the agile Software deployment project. This paper helps to understand which steps are needed for initially deploying an Agile methodology and continuously improving the process. Abstract — This project is about to conduct virtual education. Any physical university may implement it to make it online for most of its activities. Like students may get registered in any specific course, teachers may apply for job by sending their particulars and CV’s. Every user of the system has its personal mail box for checking its mails/messages. Teacher may give lecture in any media Video, Audio & Text on a time decided in time table. Similarly students may take lecture in any media. We have used Java Media Framework for handling time based media like audio & video i.e. to capture and render/play this time based media from microphones and cameras. Then we have used Real Time Transport Protocol (RTP) to send data on network in the form of stream. H.263 video format is used for Video Compression and G.723 is used for Audio Compression. Text data & control information is transferred among clients and server through Applet-Servlet Communication. Different network operations like creating client & server sockets etc are done through Java Network Programming API and Java I/O. We have used Java Server Pages (JSP) to create dynamic web content on server side. Ogunseye T.T., and Adewole O.O. Abstract — Various external forces influences water movements in a homogenous sea. The topographic equations governing the topographic waves in a homogenous sea have been elaborated in this study. The computational analysis pertinent to delineating the topographic waves in the homogenous sea has been emphasized. The bottom slope and friction factor determines the variation trend of the resultant ocean velocity and the surface ocean depth and generated results for this have been presented in this study. Abstract — High dimensional database is having large datasets while solving the cluster identification problem and for identifying dense clusters in a noisy data. Our analysis works to identifies clusters through the identification of densely intra connected sub graphs, we have employed a pattern recognition algorithms representation of the graph and solve the cluster identification problem using K-means, K-modes, Single Linkage Clustering. The computational analysis indicate that when running on 150 CPUs, one of our algorithm can solve a cluster identification problem on a data set with 1,000,000 data points almost 100 times faster than on single CPU, indicating that this program is capable of handling very large data clustering problems in an efficient manner The implementation of the clustering algorithm as the software CLUMP. Adewole O.O., and Ewumi T.O. Abstract — Gravity method has tremendously pervaded the field of geophysical exploration and thus discussed in this work. The basis for symmetric matrix data gravity interpretation is proposed. A symmetric matrix representation is discussed and optimistically forms a veritable tool for gravity data interpretation. The fundamental law of gravitational attraction is essential in delineating gravity data interpretation and the gravity effect or anomaly representation is evidently expressed by a finite difference matrix in the discussion. A computational extension can be done based on the symmetric matrix representation with available gravity data. Abstract — High-dimensional data has a major challenge due to the inherent sparsity of the points. Existing clustering algorithms are inefficient to the required similarity measure is computed between data points in the full-dimensional space. In this work, a number of projected clustering algorithms have been analyzed. However, most of them encounter difficulties when clusters hide in subspaces with very low dimensionality. These challenges motivate effort to propose a reliable K-mediods partitional distance-based projected clustering algorithm. The proposed process is based on the K-Means and K-Mediods algorithm, with the computation of distance restricted to subsets of attributes where object values are dense. K-mediod algorithm is capable of detecting projected clusters of low dimensionality embedded in a high-dimensional space and avoids the computation of the distance in the full-dimensional space. Our research article is based on analysis of the effective performance of K-mediods. Abstract — Cohesion measures in Object-oriented software reflect particular interpretations, High cohesion positively impacts understanding, reuse and maintenance. This paper proposes a new measure based on analysis of the unstructured information embedded in the source code, such as comments and identifiers, we have the existing applications based on using the only the structural information from the source code, attribute references in methods to measure cohesion. The new measure named the Conceptual cohesion of classes is the mechanisms used to measure textual coherence in cognitive psychology and computational linguistics, presents the principles and the technology that stand behind the C3 measure. A large case study on three open source software systems is presented which compares the new measure with an extensive set of existing metrics and uses them to construct models that predict software faults. The case study shows that the design concepts and novel measure captures different aspects of class cohesion compared to any of the existing cohesion measures. Abstract — Digital Watermarking embeds identifying information in an image, which is not always hidden, in such a manner that it cannot easily be removed. This is used to identify the owner of the work, to authenticate the content, to trace illegal copies of the work. So many digital image watermarking techniques have been implemented to stop the illegal used of digital content. This correlation based watermarking techniques use for generation of visible watermarked image. In this paper, check robustness of correlation based detection watermarking schemes using White Gaussian Noise (WGN) against different Order Statistics Filters Attack in Spatial Domain. The robustness of the Watermarked images has been verified on the parameters of PSNR (Peak Signal to Noise Ratio), NCC (Normalized Cross Correlation) and NAE (Normalized Absolute Error). Abstract — Wireless Sensor Networks make it possible to send secure data from source to destination. If applied to network monitoring data on a host, they can used to detect compromised-node and denial-of-service is two key attacks. In this paper, we present four “Multi-path randomized routing Algorithm” a method to send the data multiple ways to classify the data in to normal and attacks in wireless sensor networks. The Pure Random Propagation shares are propagated based on one-hop neighborhood information, sink TTL initial value N in each share and remaining algorithms improves the efficiency of shares based on using two-hop neighborhood information. Our work studies the best algorithm by detecting the comprised nodes with black holes and denial of service in the packet information with Multi-path routing algorithms that has not been used before. We analyses the algorithm that have the best efficiency and describes the proposed system. Abstract — In this study, an optimization model based on fuzzy logic was developed to determine the optimum value for cutting force of wheat stem. The input parameters of the fuzzy model were stem moisture, stem cutting height and bevel angle of cutting blade. In order to write the fuzzy rules for the stem cutting height, two low (0-15 cm), two middle (10-25 cm) and two high (20-35 cm) membership functions were considered. In the case of moisture content four membership functions, namely, suitable (0-20%), semi suitable (10-30%), high (20-40%), and very high (35-50%) and for the blade bevel angle three membership functions, including very low (0-10º), low (10-20º) and common (15-30º) were assigned. Three membership functions were also assigned to the shearing strength, including good (0-3000), middle (2920-3574 kPa), and bad (3500-4300 kPa). The results showed that the fuzzy model used in this study had an acceptable prediction for determining the level of shear force to cut the stem. The developed fuzzy model had an accuracy of 91%, 97% and 100%, respectively in bad, middle and good levels to predict the stem shearing strength. Abstract — The basic idea behind an active queue management (AQM) is to sense the congestion level within the network and inform the packet sources about, so that they reduce their sending rate. In literature a lot off mechanisms of AQM are studied. But there are not used In the context of the DiffServ architecture where different types of packet with different requirements of QoS share the same link. In this paper, we study an access control mechanism for RT and NRT packets arriving in a buffer implemented at an end user in HSDPA. The mechanism uses thresholds to mange access in the buffer and gives access priority to RT packets. In order to control the arrival rate of the NRT packets in the buffer an active queue management is used. We study the effect of the feedback function on the QoS parameters for both kinds of packets .Mathematical description and analytical results are given, and numerical results show that the proposed function achieves higher QoS for the NRT packets in the system. Abstract — The pace of change brought about by new technologies had a significant effect on the way people live, work, and play worldwide. New and emerging technologies challenge the traditional process of teaching and learning, and the way education is managed. Information technology, while an important area of study in its own right, is having a major impact across all curriculum areas. Easy worldwide communication provides instant access to a vast array of data, challenging assimilation and assessment skills. Rapid communication, plus increased access to IT in the home, at work, and in educational establishments, could mean that learning becomes a truly lifelong activity, an activity in which the pace of technological change forces constant evaluation of the learning process itself.